When a nation-wide uprising breaks out in the Occupied Palestinian territories, a young woman from Gaza is forced to make an impossible choice between love, her family, and her freedom. Undaunted, she chooses all three. 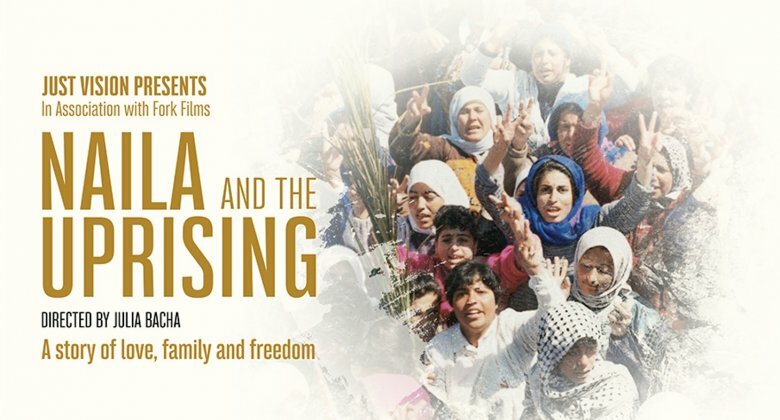 ‘Naila And The Uprising’ chronicles the remarkable journey of Naila Ayesh, and a clandestine network of Palestinian women at the heart of the uprising. Moving in and out of Israeli prisons, distributing illegal leaflets by night and planning boycotts and strikes with her infant son strapped to her back, Naila’s story weaves through the most vibrant, non-violent mobilization in Palestinian history - the First Intifada in the late 1980s. Using evocative elements of animation, intimate interviews, and exclusive archival footage, this inspirational film brings out of anonymity the courageous women who challenged the Israeli occupation and put Palestinians on the map for the first time.